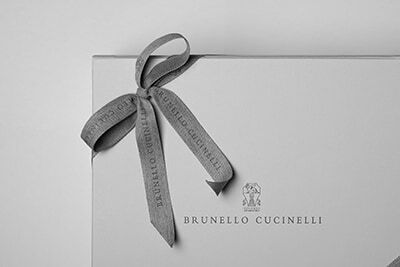 Refined Brunello Cucinelli materials marry with the casual style of the Travelwear line, dedicated to moments of relaxation and free time. 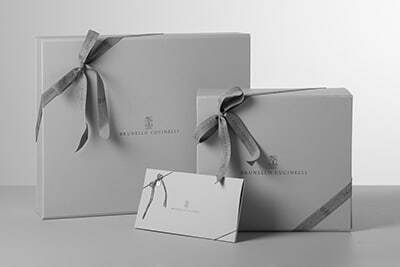 Pure cashmere yarn guarantees superior comfort to wear and is ideal particularly in the first part of the season. Narrow rib knitting adds a classic touch to the style of the garment, which is completed with a precious detail: the zipper pull is embellished with a fine silk-blend crêpe ribbon embroidered with rows of shiny monili. The fit is comfortable and relaxed. Two-ply manufacturing of the cashmere brings out the refined qualities of the natural fiber and makes the yarn lightweight and extremely soft. A balanced weight is maintained by the garment and is particularly suitable for the first part of the season.